"My story is the same as every vampire's: blood, pain and the dance. Only thing that makes me special is the way I tell it." 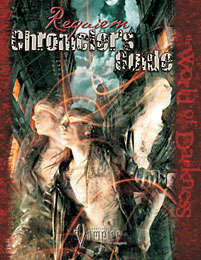 Requiem Chronicler's Guide is a 192 page supplement for Vampire: The Requiem.